We offer precision-engineered printing ink supply system. The sturdy construction of the machine and compact design make it the first choice of numerous clients. The ink system is widely used in transferring printing inks in the printing, packaging and allied industries. CISS, or Continuous Ink Supply System, is a device which allows to bring down expenditure for printing on an ink-jet printer, plotter or All-in-One. By installing CISS ink system on an ink-jet-printer you will get excellent printing quality and huge printing cost saving. 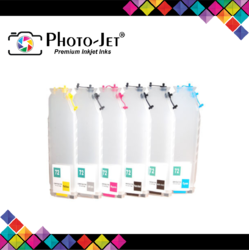 Suitable for any Brother inkjet printer that use LC38 or LC39 CMYK cartridges. - Reduce running costs of printers by 90% as the same ink tanks are used over and over again. Backed by our adroit team of professionals, we are able to provide our clients with an assorted gamut of Ink Supply System. Our continuous ink flow system will make your work much easier, we are offering Continuous Ink Supply System CISS to our estimated clients. Continuous Ink Supply System CISS are highly appreciated by our clients for there heavy duty performance and have a durable life. 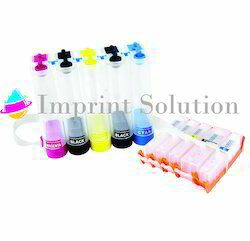 Owing to the wide experience in this domain, we are instrumental in offering CISS Ink System to our clients.